What is forgiveness? Is it the same as reconciliation? How can I deal with my anger? Can deep hurts be healed? Where can I find examples of forgiveness in Scripture? You'll find answers to all of these questions---plus verses underscoring God's abounding love and mercy---in this handy pocket-sized volume. 95 pages, 4" x 6" softcover from Rose. 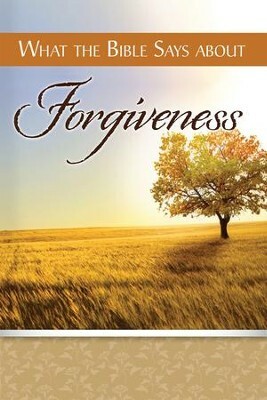 I'm the author/artist and I want to review What the Bible Says About Forgiveness.